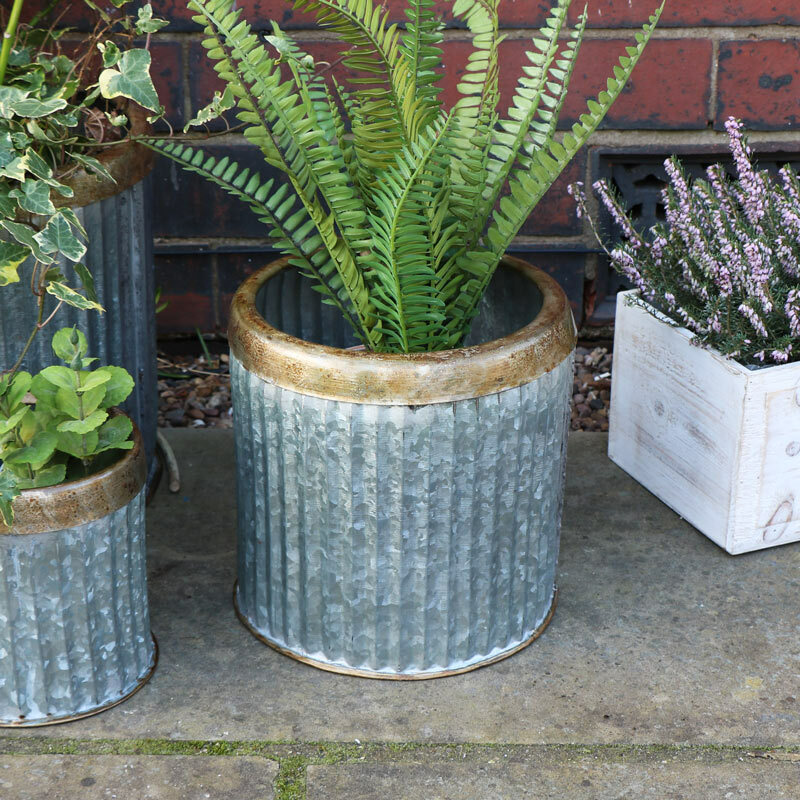 Industrial style grey metal planter with ribbed body and brass effect roll top. Perfect for indoor and outdoor use. Accessories your garden this summer with this industrial flower / plant pot. Simple but stylish design for a great garden look. A great all year round look, use indoors or outdoors. 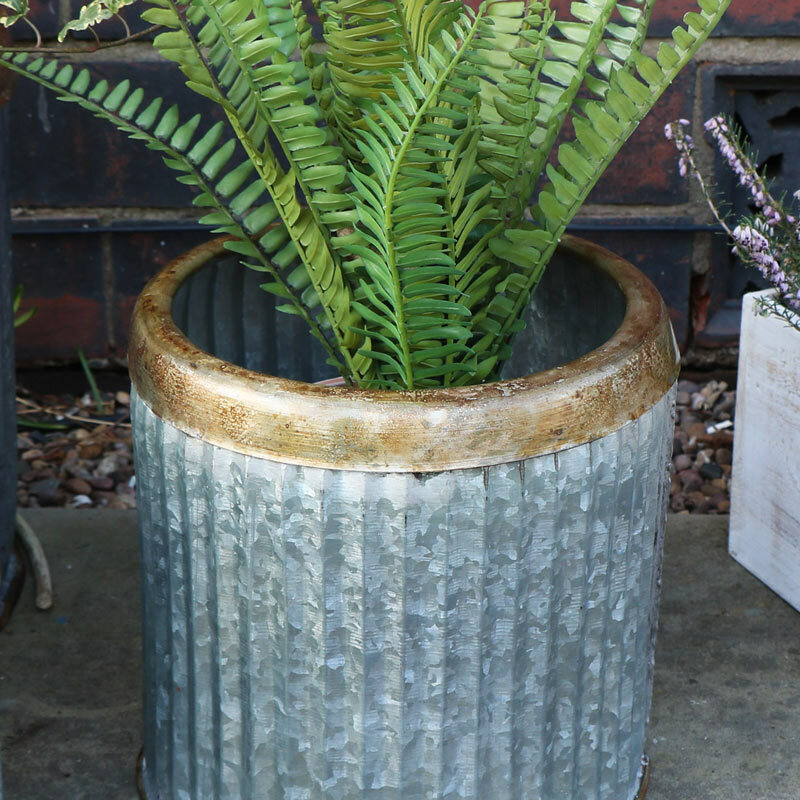 Industrial style grey metal planter with ribbed body and brass effect roll top. Perfect for indoor and outdoor use. Accessories your garden this summer with this industrial flower / plant pot. Simple but stylish design for a great garden look. A great all year round look, use indoors or outdoors.